Mark Myers is profoundly interested in ships, seafaring and the sea and seek to portray, in his artwork, what he has learnt of these in as truthful way as he can. Mark uses a variety of media, principally watercolours, oils, acrylics and Chinese inks with occasional forays into pastels, lithography and etching. Watercolours and inks are used on first quality rag paper, whilst his usual support for oils and acrylics is stretched flax canvas. The tools are pencil, brush and pen. The majority of my work is studio based, where he can have appropriate references to hand. Mark generally works on one or two paintings at a time, preparing small sketches to develop ideas and then putting down the basic structures in pencil for watercolour and thinned paint for oils. 1990 Western Approaches, Galleries Marin, Appledore, Devon. 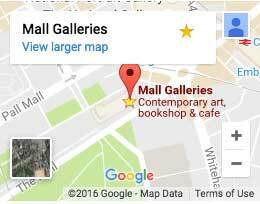 ASMA National Exhibitions, RSMA Annual Exhibitions at the Mall Galleries and outside. Mark focuses on ships, seafaring and the sea as subject matter, and specializes in historical paintings. As a result, he primarily uses photographs and historical records as reference material but is prepared to work from life. He is open to using a variety of media, including watercolours, oils, acrylics and Chinese inks with occasional forays into pastels, lithography and etching. Mark favours specific and detailed client briefs, and is happy to make copies of an existing work. Commissions will typically take around 2 months to be completed.